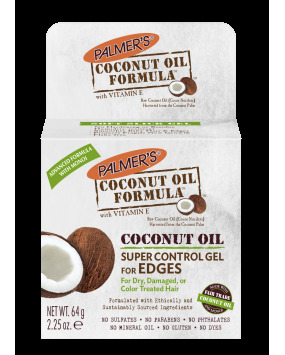 Palmer's Coconut Oil Formula Super Control Gel for Edges smoothes and slicks unruly baby-fine hair at the hairline, temples and neck, AKA "Edges". This soft slick gel provides long-lasting, humidity-resistant hold without hardening or residue. Protects fragile new growth, flake free. 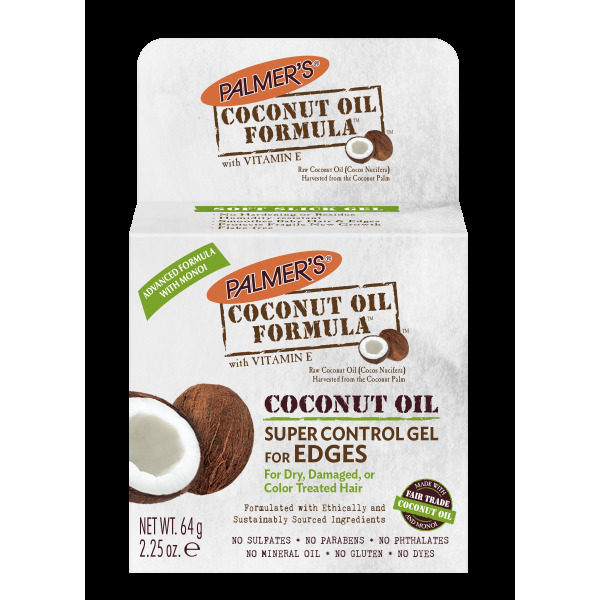 Apply Palmer's Coconut Oil Formula Super Control Gel for Edges to temples, hair at the back of the neck or edges of hairline as needed to smooth and control new growth. Grab as your go-to for buns, ponies, up-do's, faux hawks or any other pulled back style.